2018 Update: Gearing up for the Nordstrom Anniversary Sale 2018? The sale starts July 20, 2018 — sign up for our newsletter to get our picks for workwear and beyond! The below content is about the 2016 Nordstrom Anniversary Sale. The Nordstrom Anniversary Sale opens to everyone on July 22 (although Early Access continues for cardholders now), and I’m really excited about the great sales this year for workwear, shoes, and beyond. I ALSO happen to have the best readers around (thank you guys! ), so I thought I’d run a few little giveaways to help you take advantage of one of the best sales of the year. I’m going to give away TWO $250 giftcards — and all you have to do to enter is like my Instagram page or my Facebook page! (You can get additional entries by sharing with a friend, following on Twitter or Pinterest, signing up for our email list, or more.) You can enter one or both of the giveaways! The giveaways end on July 22, so you please act fast if you’d like to enter! Update (7.24): The giveaway is now closed, and both winners have been notified — thank you to everyone who entered! Option 1: Like the Corporette Instagram feed to enter to win a $250 Nordstrom giftcard! If you’re not seeing the giveaway widget above, you can click this link to enter. 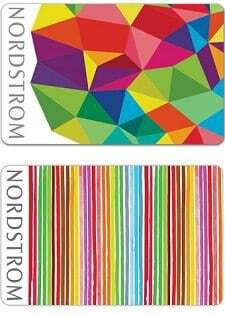 Option 2: Like the Corporette Facebook Page to enter to win a $250 Nordstrom giftcard! If you’re not seeing the widget above, you can click here to enter. Kat, I really appreciate your generosity in giving away $500. But you should probably research the laws of blogger giveaways in more detail. Generally, giveaways where participants must give the blogger some kind of consideration are prohibited by law, and asking people to “like” you on social media has been found to be sufficient consideration. Tons of bloggers, including some big names, do giveaways like this but that doesn’t make them legal. Maybe you’ve looked into this and know of some nuance that I’m missing that makes this giveaway legal and if that’s the case that’s great. But if you haven’t dug into this issue, I definitely would, especially given your legal background. Thanks for the reminder! It’s tough to find current info on this but I’ve added a “free entry” option to both of the sweepstakes (or at least tried to). I second the m’otion about Kat’s generusity. But because I am a very giveing person myself, and am personaly blessed with a bountiful life (other than a guy, who I can NOT find to MARRY me), I kindley will NOT enter the drawing for the givaway Kat is doeing. There are FAR more worthey peeople then me who can partake in Kat’s Generusity. So for the rest of the HIVE, go for it! I hope you win!!!!! YAY!!!! This is why I love you Ellyn! So i just heard back from a startup i interviewed with (silicon valley area) and have an offer. I want to take it, but want to negotiate it up a little. Are you looking to negotiate for higher pay? Because a 37% over the current base sounds like a huge increase to me, especially if you are not currently at a startup. Also, do you want to negotiate any benefits, telecommuting once a week, etc.? You haven’t said anything about the hours and as someone with young children, I really value flexibility and the ability to go to events at my kids’ schools – I’m not sure how that jives with Silicon Valley startup culture, which I’ve always thought as valuing a “work all day and all night” mentality. So honestly, its a pretty good offer. But i guess ‘m in a once bitten twice shy place because i was wayy under market for about 3 years. I negotiated a little when i started here, but not nearly enough. My current job has a bonus that (though realistically, is going to be a pittance this year) i’ll be giving up. That sounds like a big step up from current pay package. Moving expenses and 401k match and other benefits – vacation etc. – see if you are getting at least comparable, if not try to negotiate those. I did the MM.LaFleur pop-up when they came to my city, and I was left wondering whether I was expected to tip the “stylist” who picked out my clothes, put stuff back onto hangars, got me different sizes of things, etc.? Do you guys tip stylists in other contexts (like a Nordstrom stylist)? No. Tipping is not required for EVERYONE.